PT Pertamina Lubricants - PTPL or referred to as "Pertamina Lubricants" is a reputable company in Indonesia, running business in lubricants industry. Pertamina Lubricants has core business competencies in the field of integrated lubricants, base oil and specialties products. Its business include production, distribution and marketing for products Lubricants and Greases both for domestic and international markets. PT Pertamina Lubricants is a directly-owned subsidiary company of PT Pertamina (Persero), the national oil company of Indonesia. At present, PT Pertamina Lubricants is 99.95% owned by PT Pertamina (Persero) and 0.05% by PT Pertamina Dana Ventura. Headquartered in Jakarta, Pertamina Lubricants now has 4 Lube Oil Blending Plants (LOBP) in Indonesia (Jakarta, Cilacap and Gresik) and Thailand. Pertamina Lubricants also supported by 7 domestic sales regions, 4 Overseas Marketing of Lubricats Finished Products, and 3 Overseas Marketing of Base Oil Products. In term of financial performance, Pertamina Lubricants posted an increase of 25.8% in total operating profit in 2016. 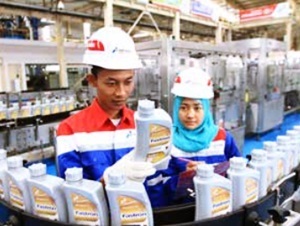 Pertamina Lubricants booked total operating profit of Rp 2,409.61 billion in 2016 as compared with Rp 2,198.87 billion in 2015, according to information found in PT Pertamina Lubricants Annual Report 2016 as cited by JobsCDC.com. As in 2016, total revenue amounted to Rp 8,857.75 billion. Comprehensive profit amounted to Rp 1,975.02 billion in 2016, which represented an increase of 4% over comprehensive profit recorded in 2015 of Rp 1,899.28 billion. Minimum graduate with Bachelor of Engineering (Industrial, Mechanical, Chemical, Physics) graduated from campus ITB. Have academic diploma or SKL from ITB. Have transcript with final GPA score. Have an outstanding academic record with minimum GPA of 3.00 out of 4.00 scale. Have English Certificate with minimum score of 450 (TOEF PBT) / 45 (IBT), 5.5 (IELTS) / 550 (TOEIC). Maximum age of 27 years old on 2018 (not allowed to be 26th anniversary in 2018). Willing to be relocated in all operational areas of PT Pertamina Lubricants. JobsCDC.com now available on android device. Download now on Google Play here. Please be aware of recruitment fraud. The entire stage of this selection process is free of charge. PT Pertamina Lubricants - College Shopping Program Pertamina Group August 2018 will never ask for fees or upfront payments for any purposes during the recruitment process such as transportation and accommodation.